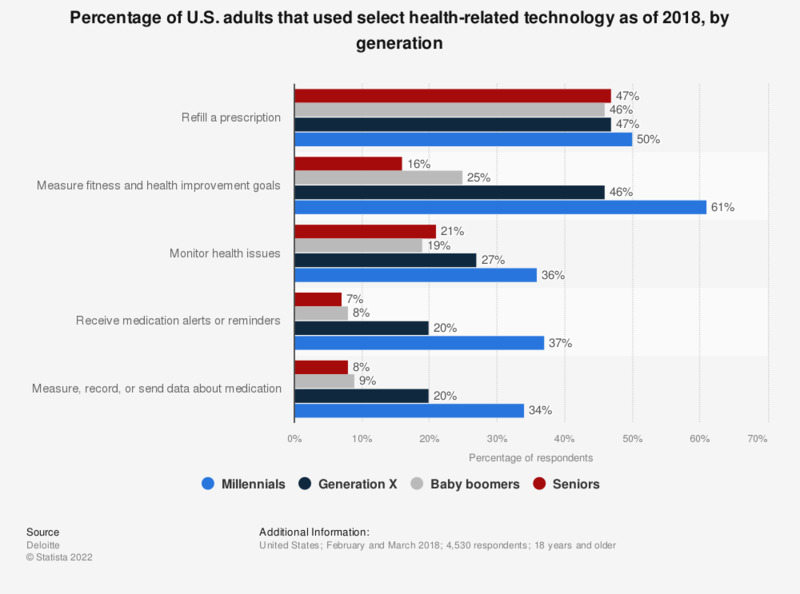 This statistic depicts the percentage of U.S. adults that used select health-related technologies in 2018, by generation. According to the survey, 61 percent of millennials used health-related technologies to measure fitness and health improvement goals. Comparatively, just 16 percent of seniors used health technologies in the same way.